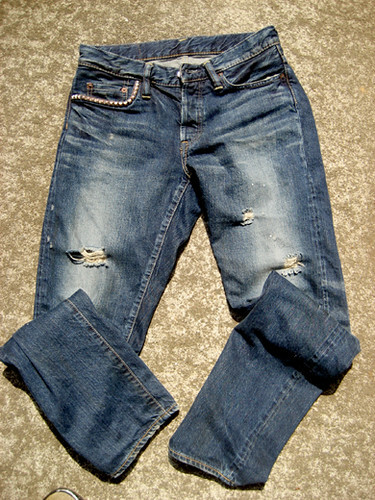 I got washed and worn down pair of gently broken jeans from HYSTERIC GLAMOUR. 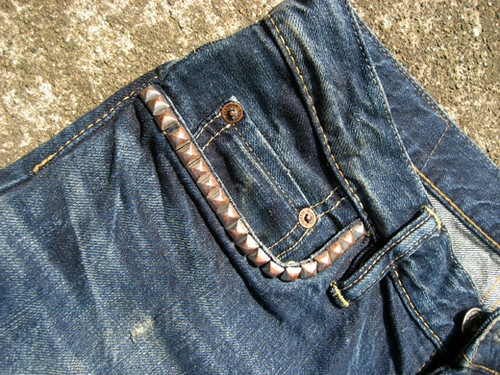 These front pocket-studded jeans are great for any look,and bring me an entire wardrobe I can mix. 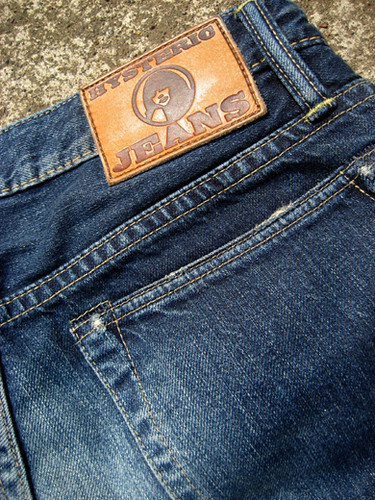 Oh, this jeans is so cool!!! !